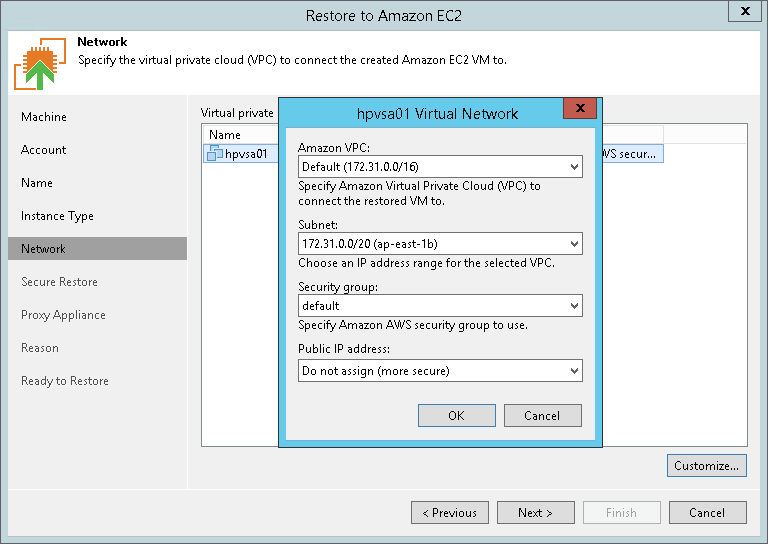 At the Network step of the wizard, you can select to which Amazon Virtual Private Cloud (Amazon VPC) the target EC2 instance must be connected. You can also specify a subnet, and a security group — a virtual firewall for the target instance. For more information on Amazon VPC, see the Amazon AWS documentation. In the Amazon VPC list, select the Amazon VPC where the target instance will be launched. From the Subnet list, select the subnet for the target instance. From the Security group list, select a security group that will be associated with your target instance.